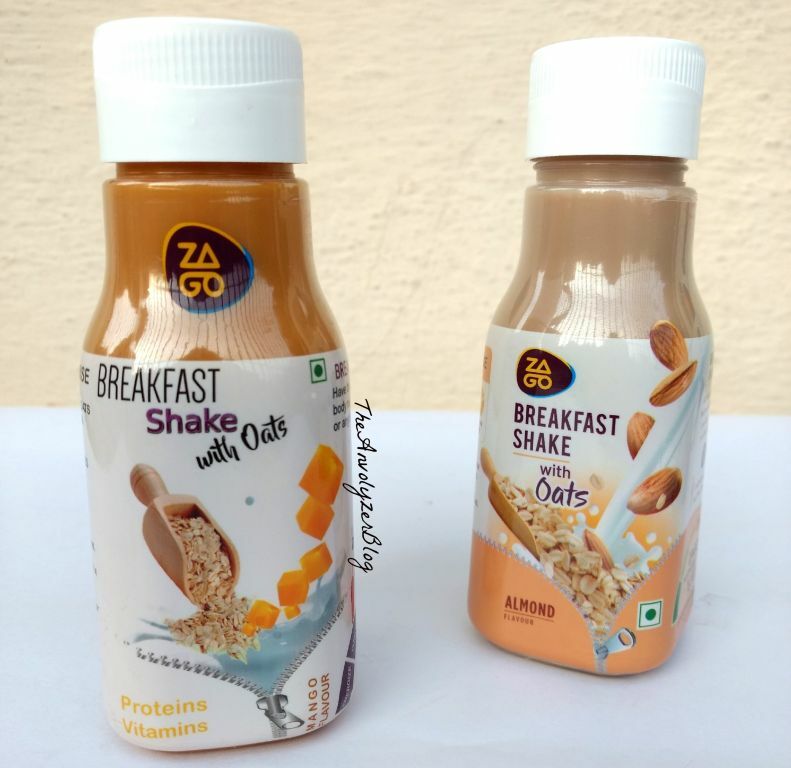 In this Busy Busy world, it is very common for people to Skip Breakfast in order to rush to Office/ any other Work! 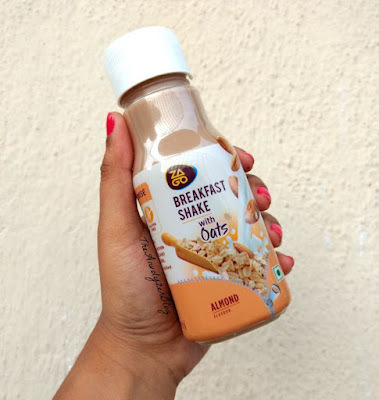 As it is known, Breakfast is the most important meal of the Day, Skipping it can affect overall productivity throughout the Day. It comes in a Quirky, Cylindrical Bottle. On opening the Cap, you will find Silver foil cover, which you need to break open. Even after breaking the Seal, you can carry it securely in your bag without worrying about leakage. The quantity is decent, enough to fill you up. 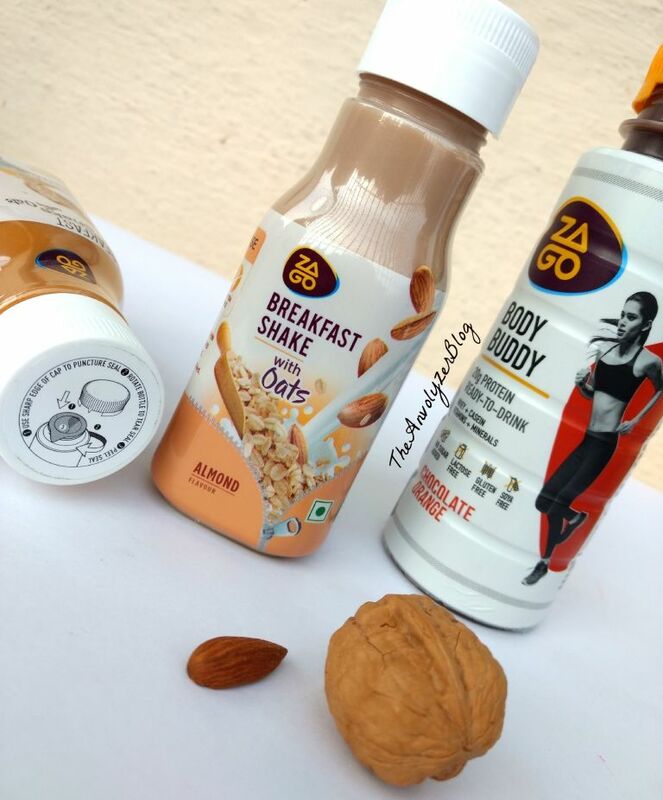 The Almond one tastes absolutely amazing! Its flavour is very Natural and delicious. The Mango one is tastes Artificial but is still quite Tasty. But I did not quite like the flavour - Chocolate Orange. 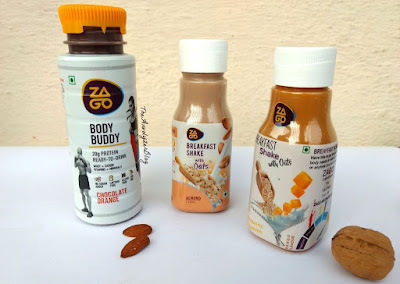 Overall I really liked these Drinks and can see myself opting for them on a regular basis. Have you tried them yet? What are your thoughts on it? Welcome back to a brand new Post! 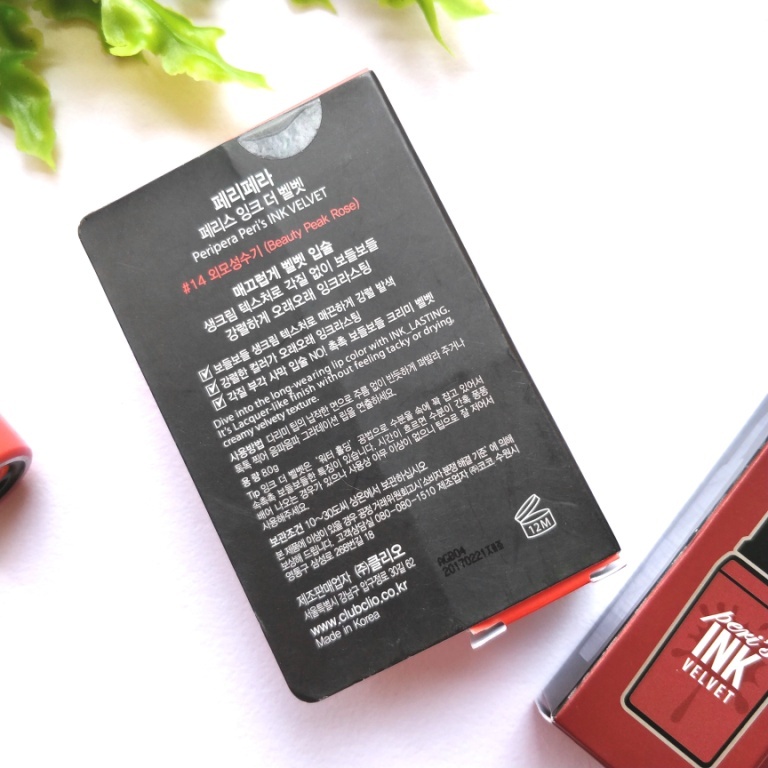 So, I had done a haul of Korean Makeup and Skin Care products from EarlyPicker.com a while back which made me Fall in love with Korean Beauty! Along with every order, Early Picker sends good amount of Samples to try out, which includes Makeup and Skincare products! So, Let's get on to the Review of Mummy Mud Mask and see if they are worth the hype! 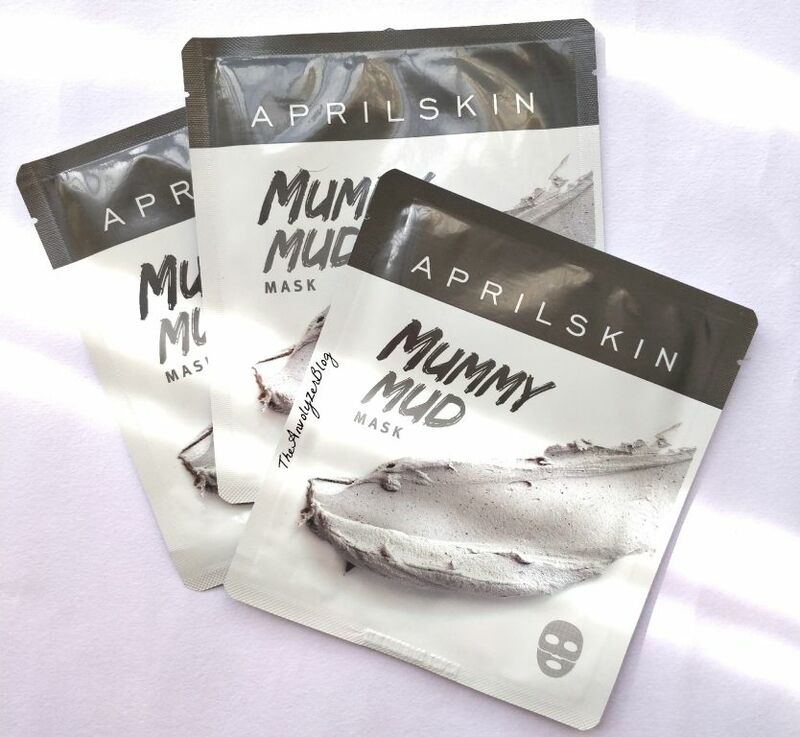 The Outer Packet is Black and White with Mummy Mud Mask written. On the Back, variety of details along with Instructions as to how to Use the mask is mentioned. The Mask itself, comes in Two Parts and wrapped in multiple plastic layers to keep the Ash coloured Liquid intact. The first Part will go on the Upper Part of the face, till the nose. 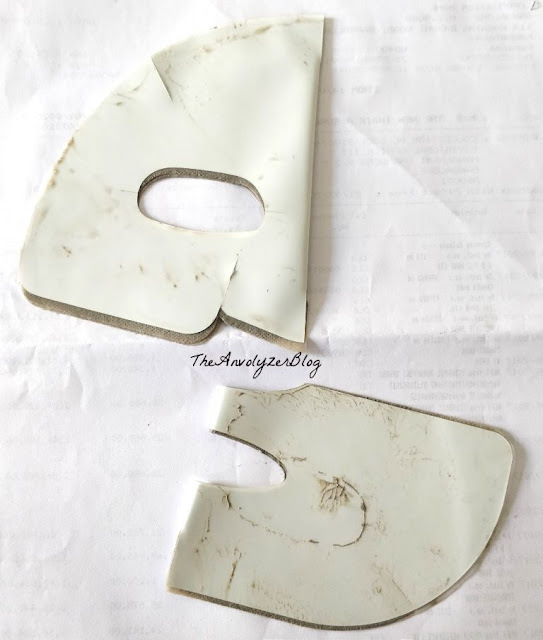 We are supposed to place the Mask one after the other and then peel off the plastic layers. For my Face, the first Part of the Mask, fits okay, with a little excess material on the forehead. And the second part of the Mask fits Perfectly. 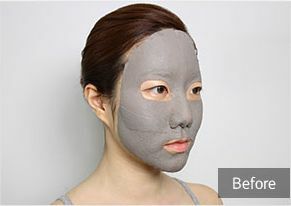 The Mask sits firmly on the Skin, making it easy to go about your work without fussing over the Mask moving. The Masks are wet with Ash coloured liquid, and you can feel a slap of Cold on applying them. The Coldness soothes the skin and feels very Good and Relaxing. I keep the Mask on for about 20-30 minutes. 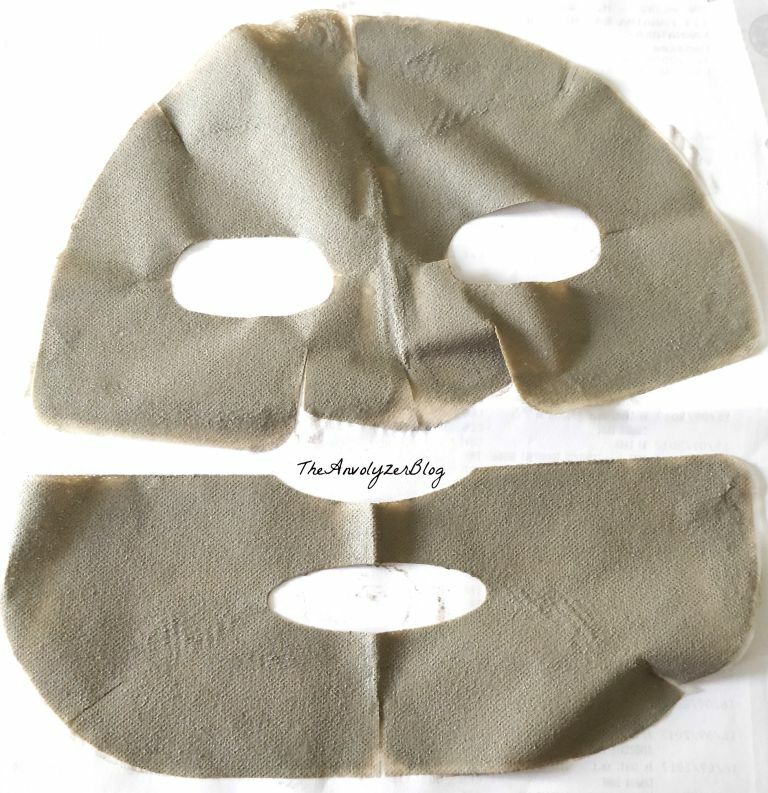 While drying, the Mask gets Harder and Firmer like a Dry Cloth. When it's time to remove the Mask, it will be sticky and you will have to Peel it off. Face will be covered with ashy patches, residue of the Liquid. They can be washed off with just water. The Mask cleans the Face to give a Clear and Glowing Skin. It is very Relaxing and Cools the Face. It was hydrating on my Dry Skin and I freaking love this product. And it does satisfy its Claims. 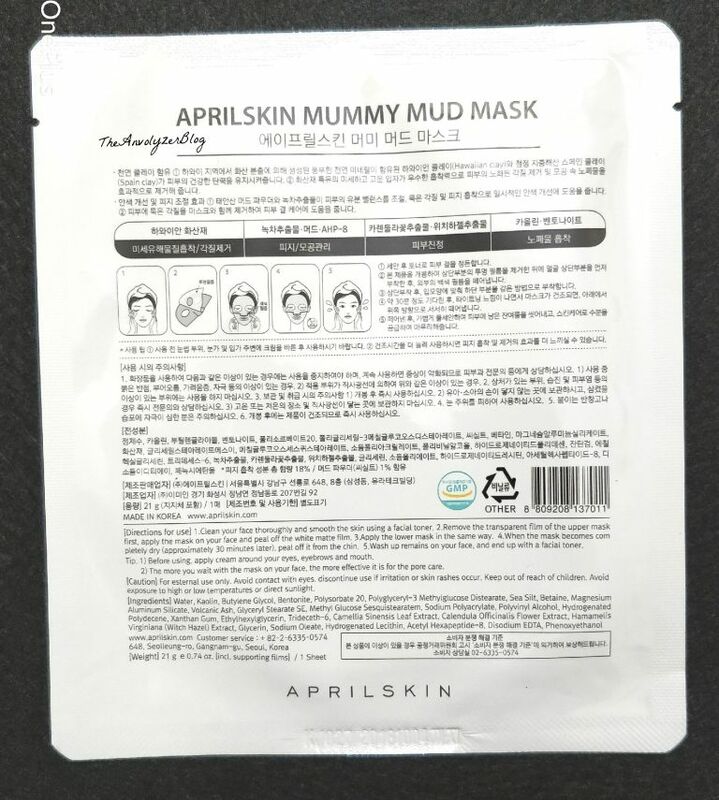 I use this Mask when I some time on my Hands, as it can get a little messy due to the Wetness of the Masks. Your hands can get dirty due to the Ashy Liquid of the product. I would highly recommend this product to all Skincare lovers, this is something you should definitely try! I Love products which smell good and can be used on face. With the fear that, they might make my Dry (Skin) Face even more dry. I must say, I was pretty excited to test it out. One of the things I love about this product is its Packaging! Its outer cover is clear with a pump provided on top. The liquid is green in color, which shows off nicely in the Clear Bottle. 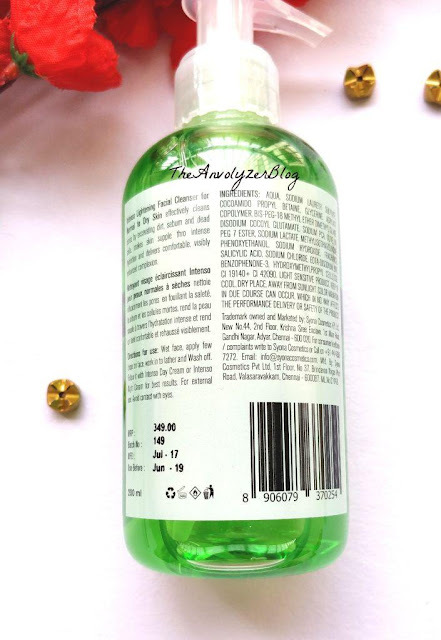 Details like Skin Type for which its compatible, Manufacture Date, Expiry date, Ingredients list etc are clearly mentioned on the bottle. The pump does not have a ‘Stopper’ to block the pump from getting pressed, so it will be tricky to use it while travelling. Because of not having a stopper, if the pump gets pressed then there are chances that product will get spilled. It has a slightly thick consistency and very very small quantity is enough to get a good cleanse. 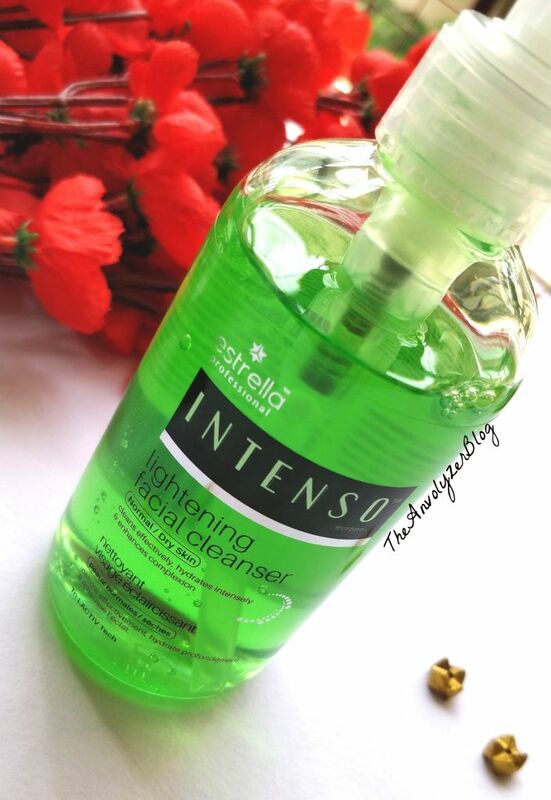 The cleansing liquid is green in colour, but turns clear while actually using it. Initially it may seem a little Strong, but with multiple uses you get conformable with it. 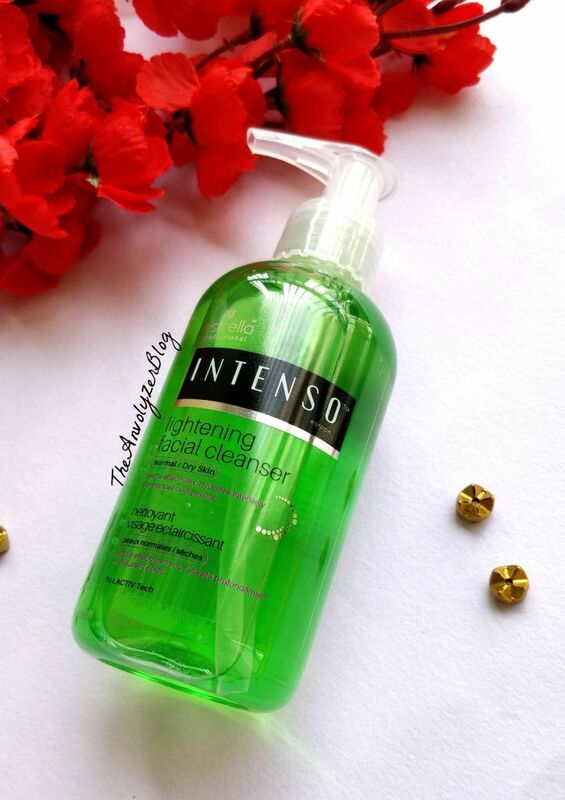 I like to use the Intenso Facial Cleanser after a long day of Work, to thoroughly Cleanse my Face. and it does just that! 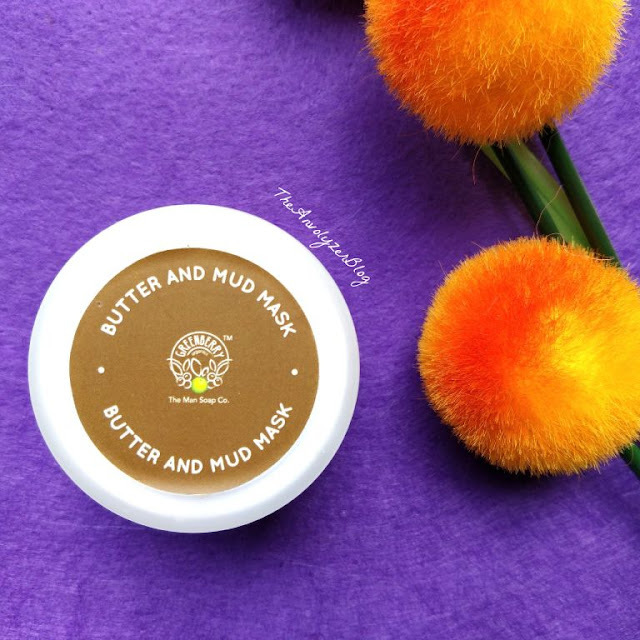 It is super light on the Skin, Works quickly and does the Job Well. It Smells great, lathers up nicely and Cleanses thoroughly. 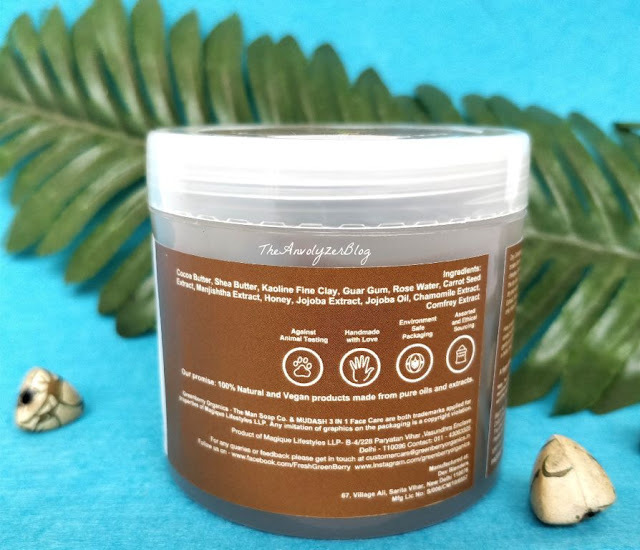 After using this product, I'm left with a Happy Cleansed Face and Feeling very Refreshed. I expected it make my skin feel dry, but it did not. I just have a cleansed feeling and don't even have to apply moisturizer. But I will definitely put on some Moisturiser if it feels too dry after using this product. For people who have super dry skin, some moisturiser will be required after using the Cleanser, it varies from person to person. I have been using the product for quite some time now, and did not face any issues with it. Overall I really like this product, and look forward to using it daily. I like that it does not dry out my Skin. Would you give this product a Try? Comment Below! Since my Haul from Earlypicker.com, I got to play with Korean Makeup a lot! And I must say, I’m obsessed and left wanting more! I had seen it before and couldn’t wait to try it out!! 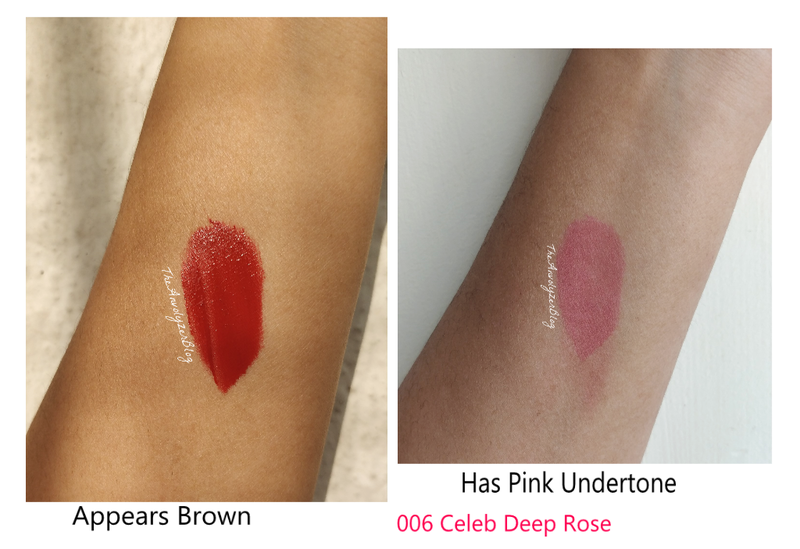 006 Celeb Deep Rose is a Copper - Brown Shade with Deep Pink Undertone. Even though it is Gorgeous, I was disappointed as I expected the Brown to Stay. The Packaging is what makes this product so Unique and Of course freaking Cute! It comes in a Quirky cover which has Brand Name and Product Name written on it. All details on the Outer Cover is written in I believe, Korean Language. It is made up of Cylindrical bottle and a cap for it with a tiny holder on top. 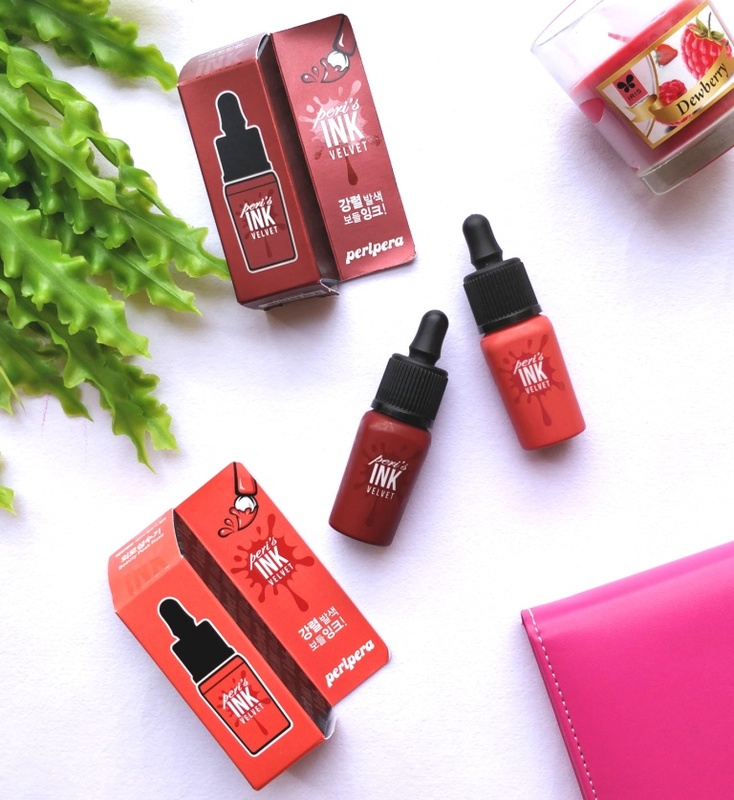 The Bottle says PeriPera Peri’s Ink the Velvet clearly and is Quite Tiny to look at. It is Super handy and very easy to carry around, making it my most favourite product for Travelling. 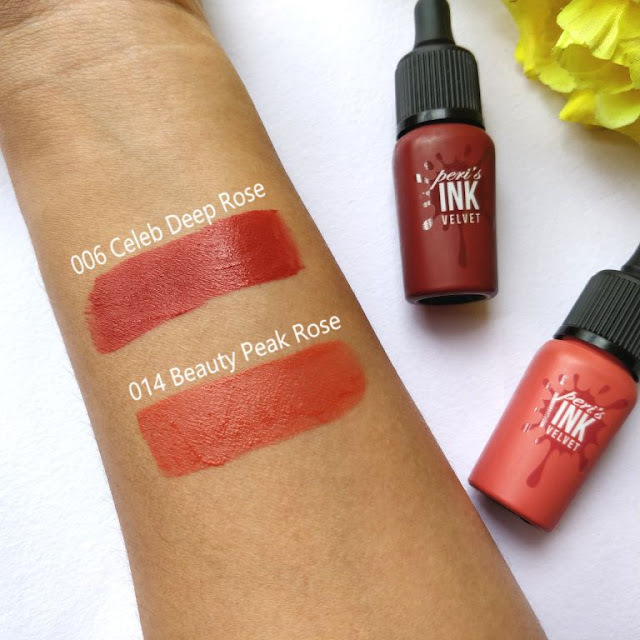 Most of Korean Liquid Lipsticks are very sheer in texture but this one is not, and I like that about it. It is not too thick nor watery, just the right consistency and Completely Opaque. 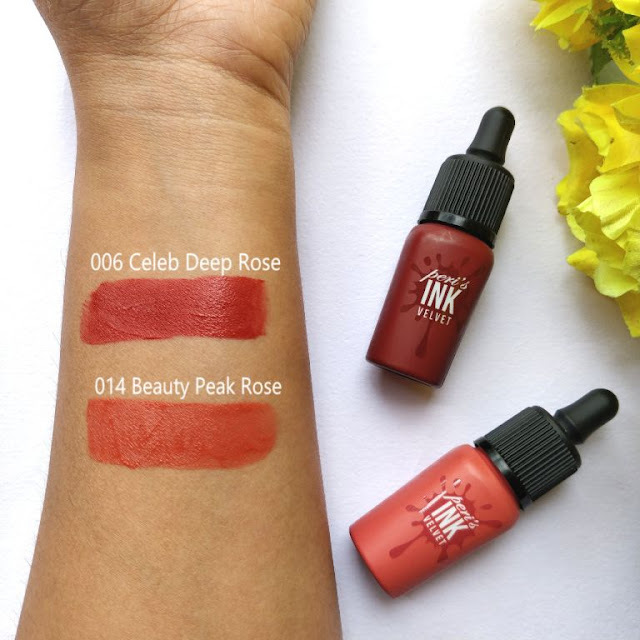 It has a super cool applicator, which makes it super easy to use and coats lips evenly with product. One coat of product is enough to bring beautiful color to the lips. I was tempted to go for second coat, but when I did, the product felt too thick. So, I would suggest to not layer the lipstick on too much. 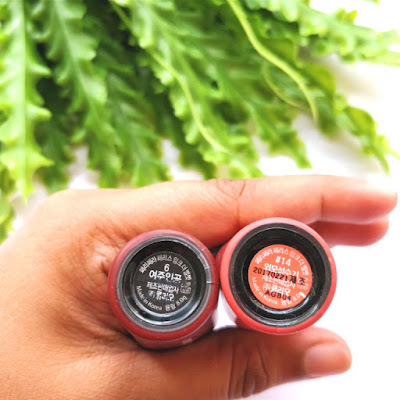 It is very comfortable on lips and feels like Second Skin! Since the consistency of the product is not watery, it may feel a little thick on application if not applied in the correct way. So, I tried few different ways and came up with the best one. Coat bottle lip completely with product and rub lips together. Later go back and fill the gaps in upper lip. 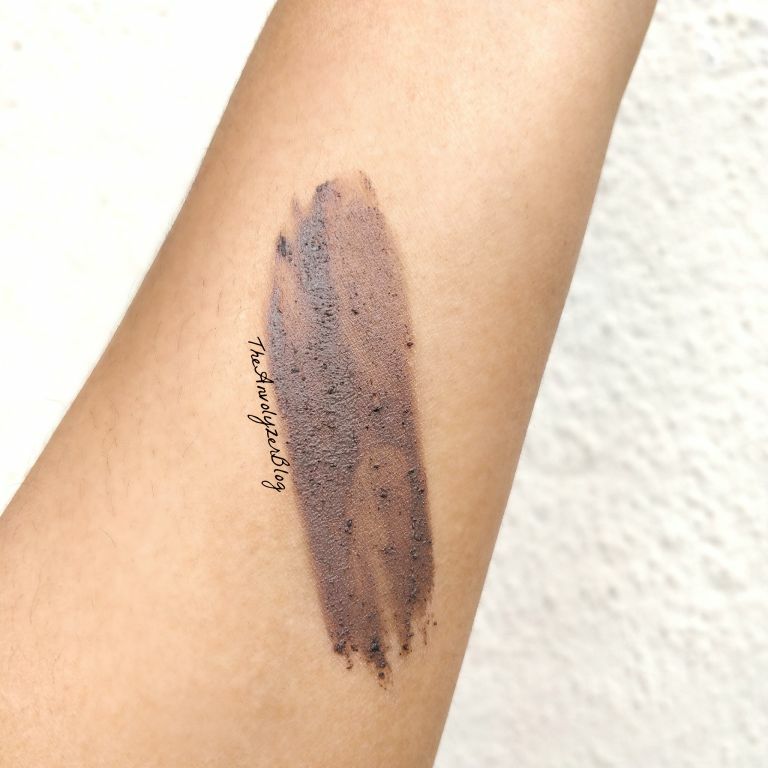 On Application, the product takes a second to dry, after which it turns to a very Comfortable powder Matte Finish. 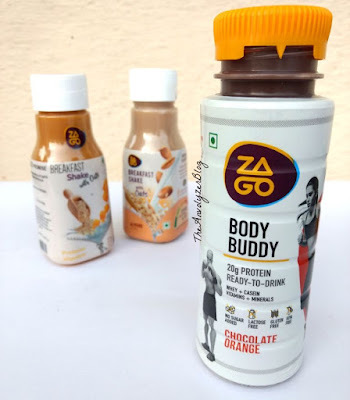 Staying power of this product is very very good. As long as lips are not rubbed, even with a good greasy lunch, the product will manage to stay. 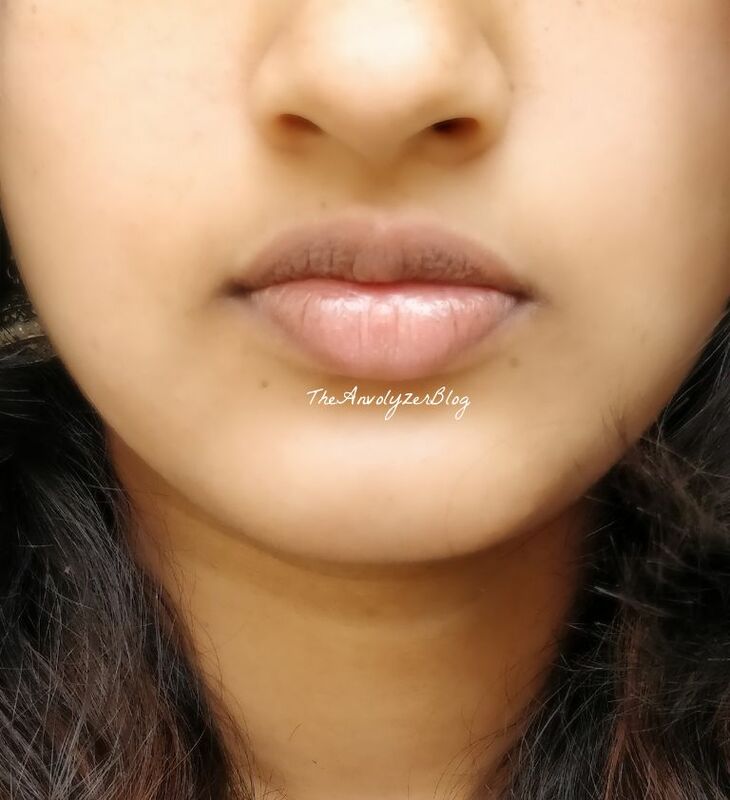 Even though the lipstick fades away throughout the day, it stains the lips heavily which locks the color. It stains the lips so well that, I have seen the residues of lip colour even next day. So the fact that I will have color on my lips till the end of the day makes me very very happy. 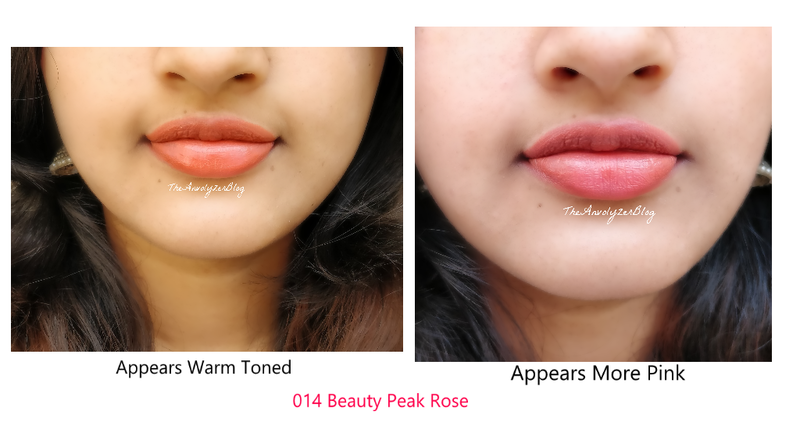 Disclaimer : As I was having not so good Skin when I took Lip swatch Pics, I have used blur filter in below Pics. In the first shot, the Shade appears brown and later turns to deep Pink after a while, as seen in Second Pic. 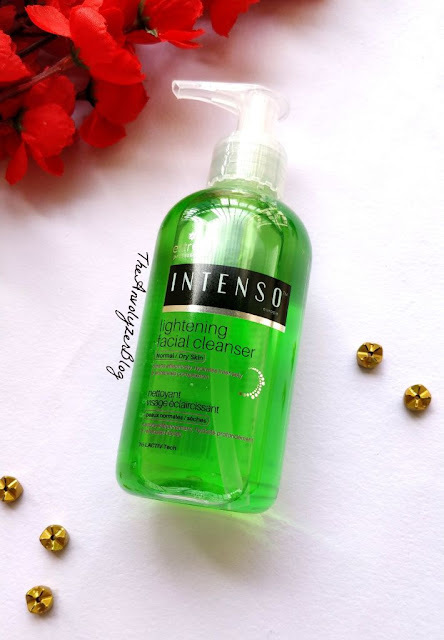 Overall, I really like this product and always end up choosing it on a daily basis. On one hand, I don’t want to use it up completely and on the other, I can’t get enough of it. I better stock up on these as I can see myself running out of these very soon! I would highly recommend this Lipstick to anyone who is curious about Korean Makeup as it is such a good product! Isn’t the Packaging just freaking Cute? 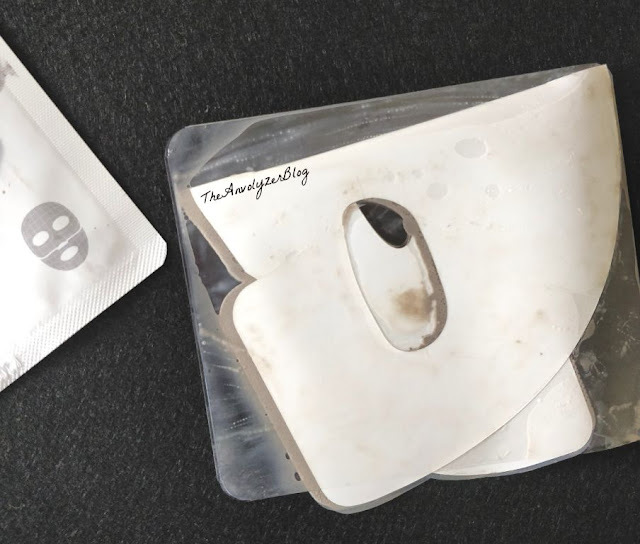 It’s been a while since I reviewed a Face Mask. Also I have been testing and loving a product by Greenberry Organics and had to review it for you guys! 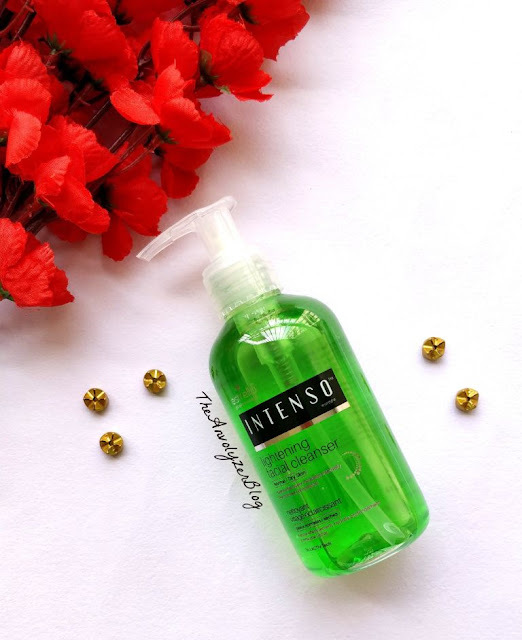 And was super excited when I got to know about this product which is perfect for my Dry Skin. 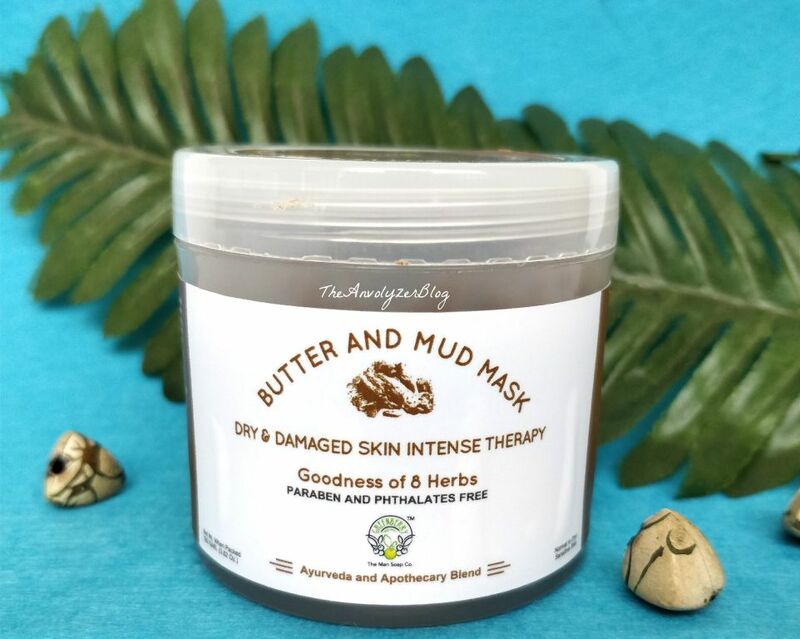 It is said to be an Intense Therapy for Dry and Damaged Skin. 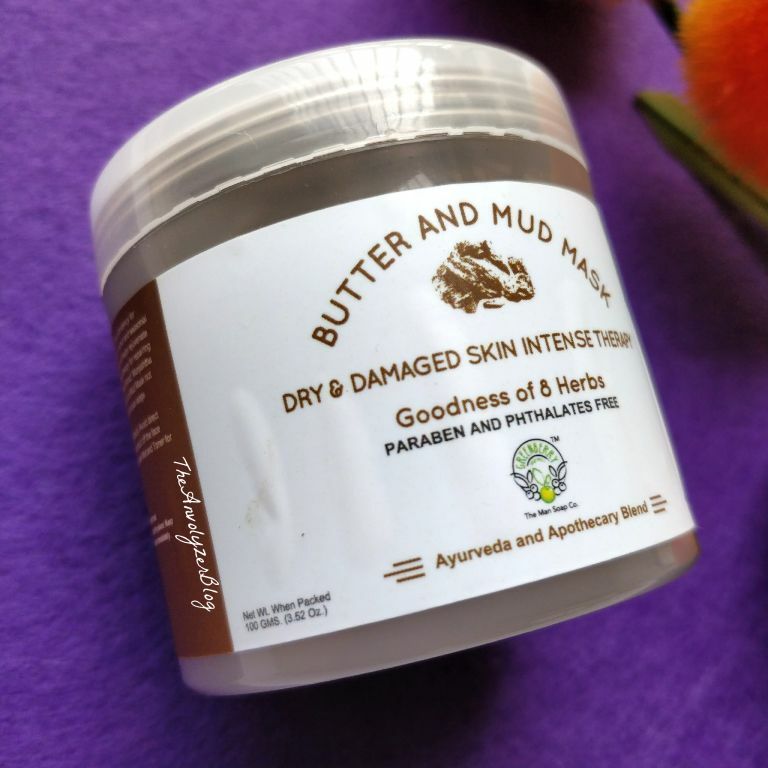 Firstly, I found the Name "Butter and Mud Mask" to be very interesting and cool, I have never seen any product with this combination of Ingredients. As always Greenberry organics kept the Packaging Simple and neat and let the product speak for itself. I love the fact that all details such as Quantity, Skin Type, Ingredients etc are clearly visible in the packaging. 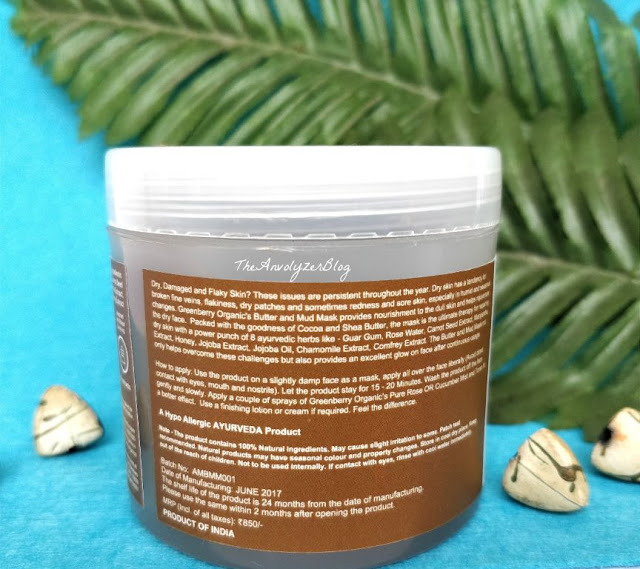 I'm in awe of the texture of this product, I have never seen a mask having this type of consistency! Even though its nowhere mentioned that this is a gel based mask, its texture feels like it is. Its gell-y and glides on super smooth. I also found its Fragrance to be different and Quite Interesting! It must be the Butter in it. Glides on to the Skin smoothly and dries quicker than expected. Unlike 3 in 1 Mud ash by Greenberry Organics this one does make the skin feel tight after drying, just like all other masks. After applying, I felt some tingling and suction in dry parts of my face. Sometimes the tingling was so much that it hurt a little too. 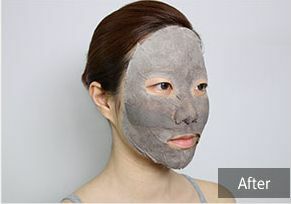 Do not forget to wet the face before applying the mask. I found the tingling was more when I applied the Mask on dry skin. Once the mask is off, face feels Cleaner, Smoother and Brighter. I easily get rashes on my face due to extreme dryness, I remember having them that day. But, after using this Mask : My Face was so Clear and well Hydrated. I always need to apply moisturiser every time I Wash/ Cleanse my face, my skin is that dry. 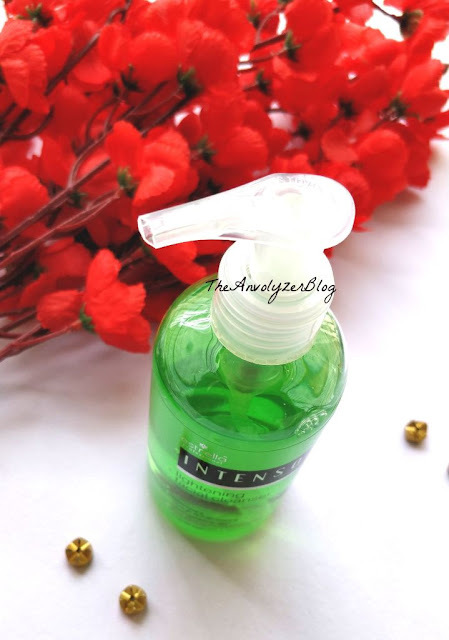 But this product hydrated my face so well that, I didn't even think about moisturiser! What amazes me is, while the mask is drying, skin becomes more and more tight. 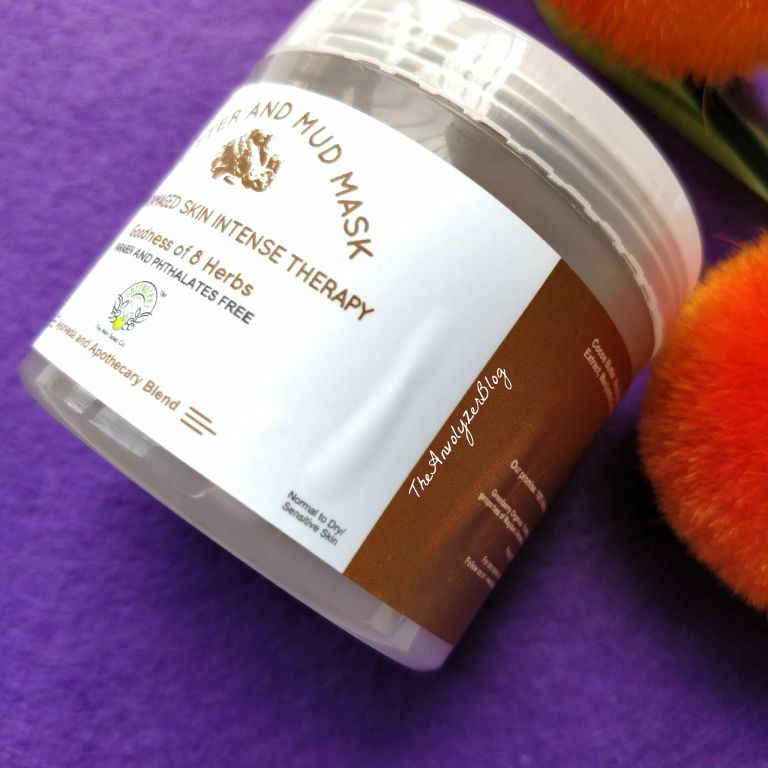 But as soon as the mask is washed off : you are greeted with a well hydrated face. Such a contrast isn't it? 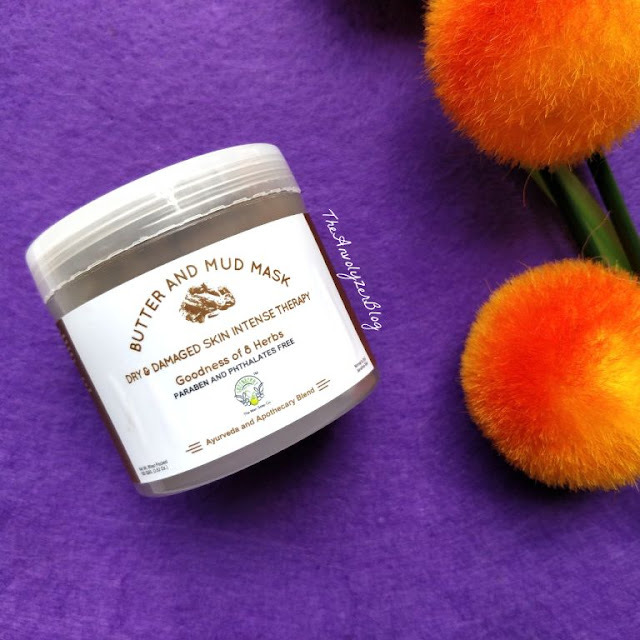 My thoughts on "Butter and Mud Mask"
If you haven't guessed it already : I Absolutely love this Mask! 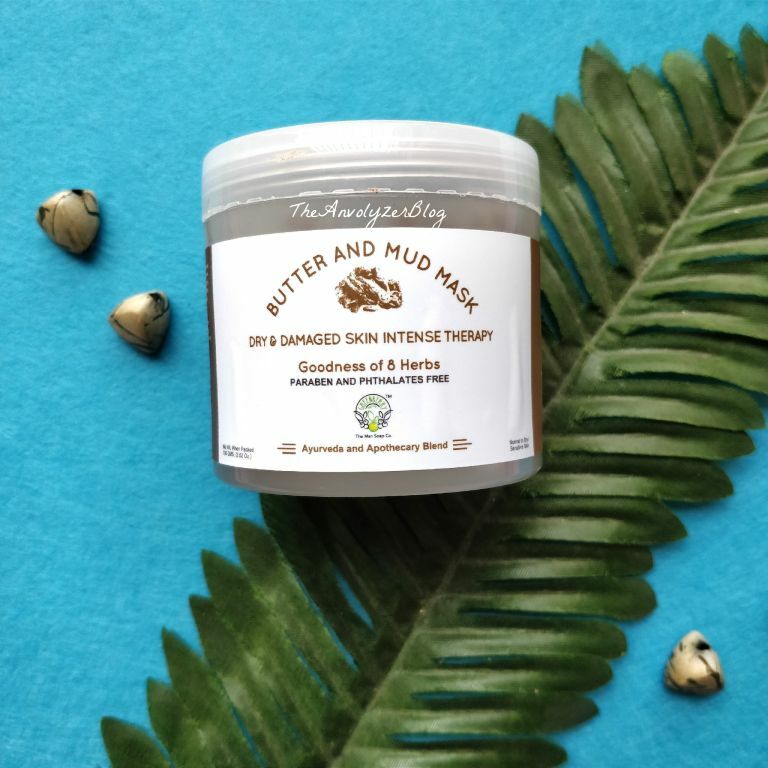 I have to thank Greenberry organics for coming up with such an amazing product for us Dry Skin people! I reach for this Mask very often and am amazed every single time! Clear, Bright and well hydrated face is a deal no one should miss out on.